Is that little bundle beginning to become mobile? What an incredible journey to observe! Personalities are budding and baby is blossoming into the person she will become. 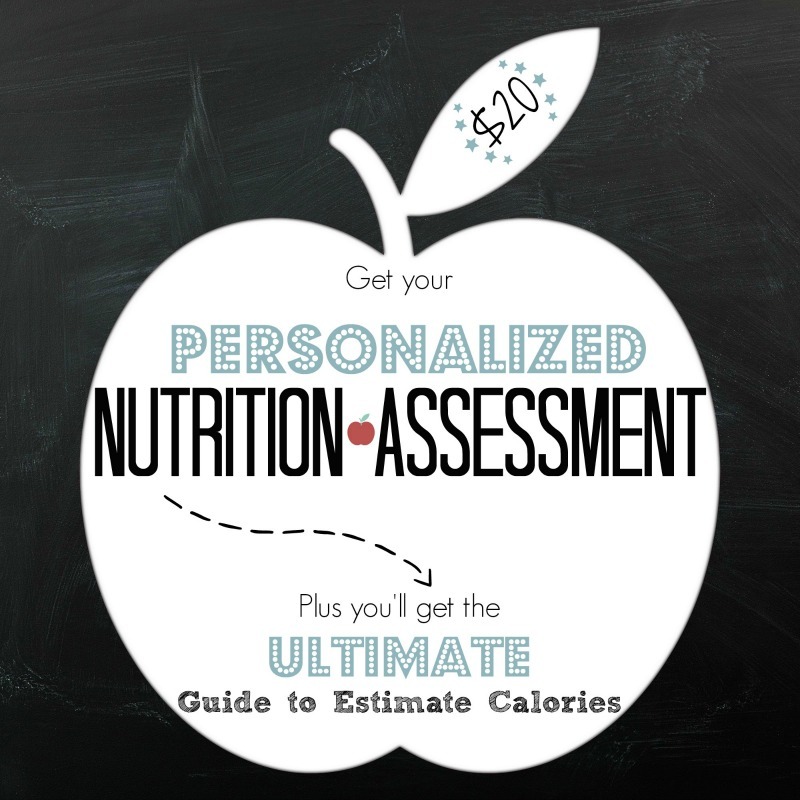 There are a ton of products available, providing options, but also causing stress. What do you really need? 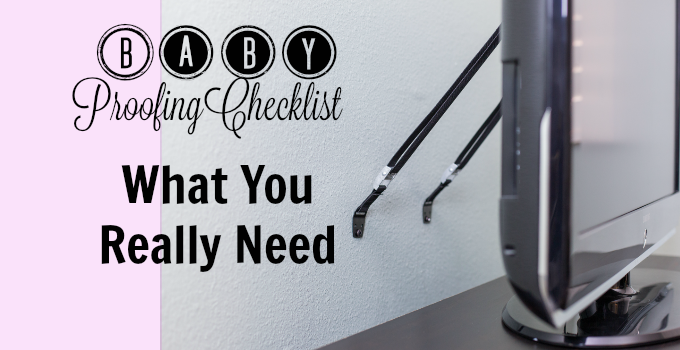 You need a baby proofing checklist. 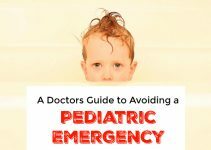 To determine what you need, honestly, it depends on your child’s temperament. If he’s like mine, you’ll want to go ahead and take most precautions. If his passion in life isn’t to open every cupboard and remove each item to explore with his mouth, you can be a little more lax on what you decide to baby proof. Myself, I am in the midst of raising a very active and curious toddler who finds immense joy in exploring off-limit places. Give her a cupboard full of mom’s things and she is in heaven! Result? I’ve learned a thing or two about baby safety. 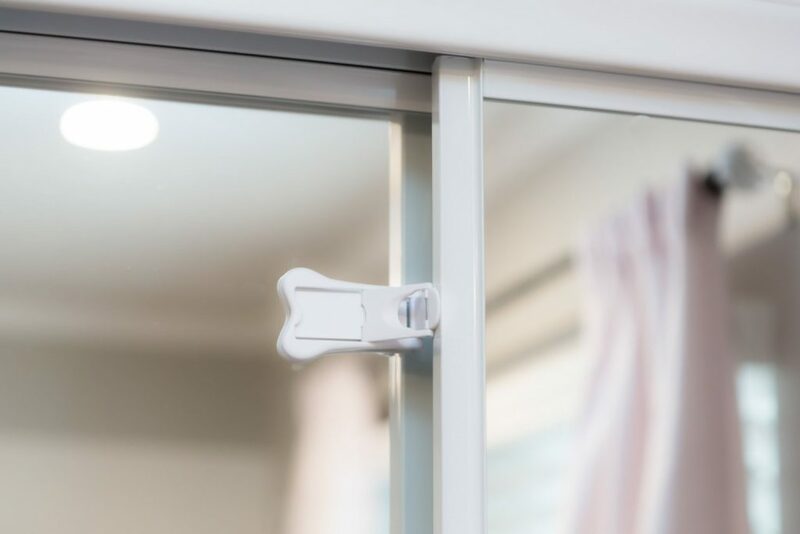 The following will give you the lowdown on what baby safety products work well and the 5 crucial areas of the home to make safe. So whether your little love is a craze like mine, or a little more tame, you’ll find value in this mom’s baby proofing checklist. 1. 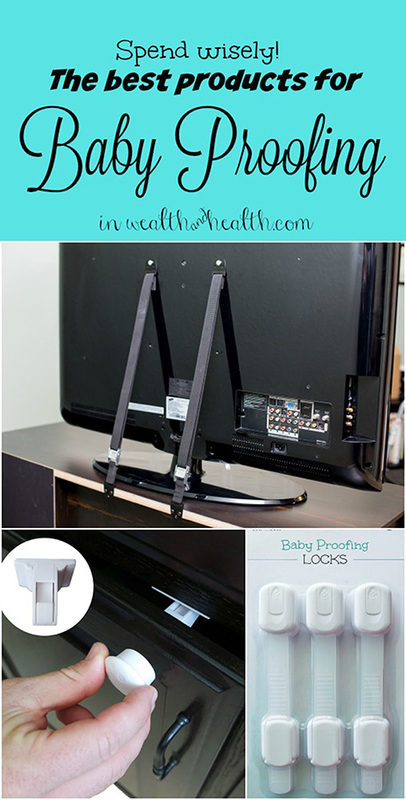 Don’t spend more than you need; baby proofing necessities are listed below. 2. Don’t skimp on the crucial stuff. 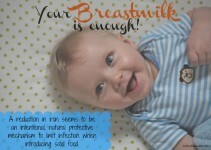 Even if your baby is calm and collected, there are still some places that are non-negotiable and must be baby proofed. Learn what these areas are below. You can go crazy trying to protect your little one from every bump and bruise. Me? I’m a rational realist, knowing that my angel will get some minor injuries along the way. What is non-negotiable is the following areas/items that can cause fatalities or some serious damage. If you do nothing, else, be sure to make your home safe from the following hazards. Also, always, keep your floors picked up (as best as you can) to confirm there are no small items that are choke hazards (ChapStick caps, water bottle caps, coins, random broken pieces, plastic bags). 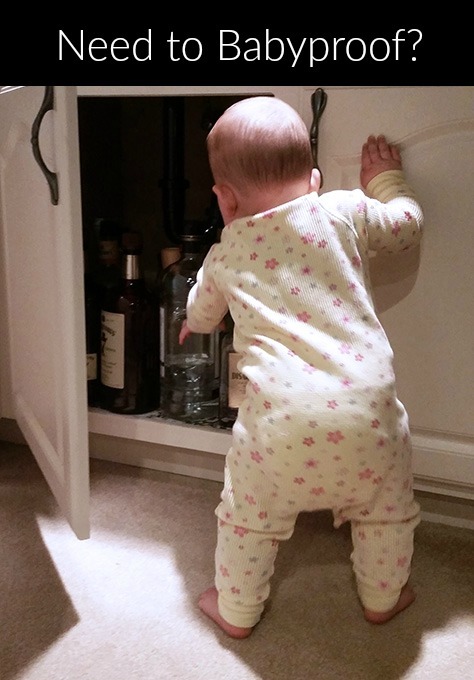 Be sure to search under furniture and look on your hands and knees to see your baby’s world view. Disclosure: Any links to outside products are affiliate links and I would be marginally compensated if purchased; I’d never promote something I dislike or wouldn’t purchase myself. Also, with my husband, we are the proud owner of JessaLeonaBaby. Title links to Amazon listing. 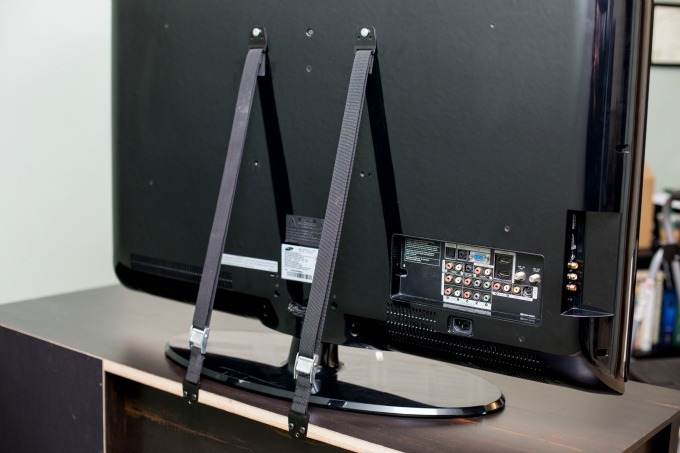 Children’s frequent time around a TV set presents a high risk for TV-related accidents. The US Consumer Product Safety Commission (CPSC) identified TV and furniture tip-overs one of the top 5 hidden hazards in the home. 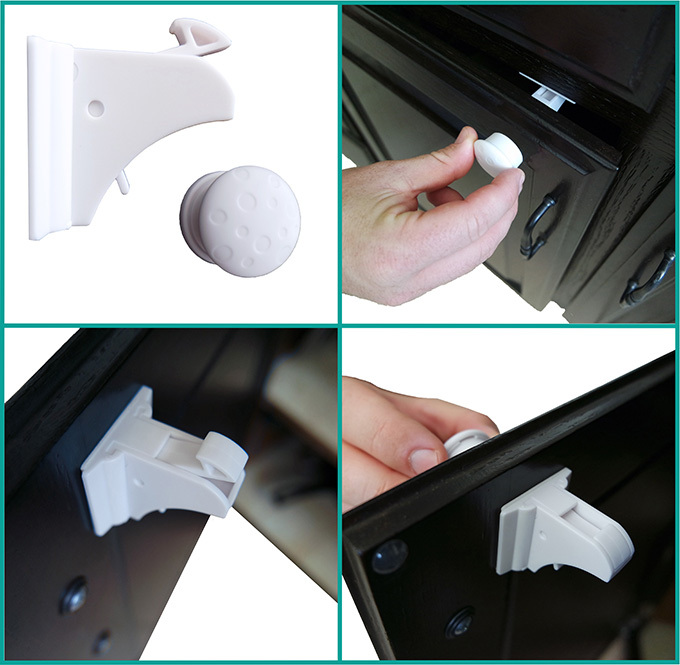 Securing your TV and taller furniture (like filing cabinets, dressers, vanities, armoires) to the wall is a must. Plus, if you live in earthquake-prone areas, you should be doing this already anyhow! Title/photo link to Amazon listings. Our outlets are very loose. The typical safety outlet plugs would just fall right out. 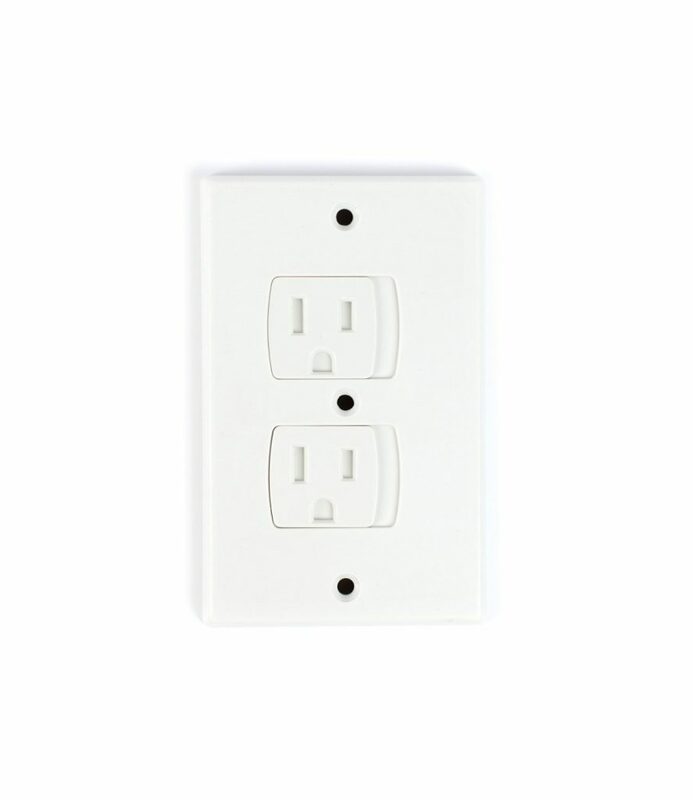 If yours are a bit loose, I suggest replacing your outlet plates would go with the kind where the entire plate is changed and slides over like the photo above. 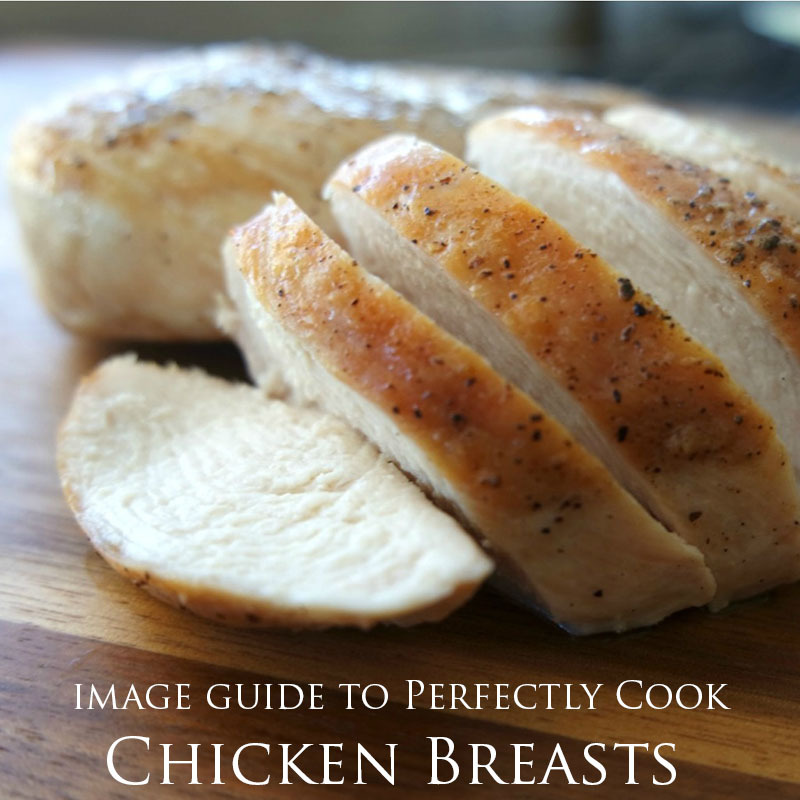 Photo & title link to Amazon listings. Windows are not often thought of as hazards, but when they are on a second story and are low to the ground, they can be deadly. If your baby or child can reach the window, and you frequently have it open, it’s a must to ensure your home’s safety. Eyesore, yes, but if your multiple level house has lower windows, it’s worth the peace of mind. After all, curious babies are quick, and your eyes aren’t on them every second of the day. These are my favorite all-purpose safety lock. They attach to the outside of the cupboard or drawer and are easy to use. Best of all, I can open them with one hand. Where do I use them? Currently, this lock is on our pantry, bathroom cabinets, chemical cabinet in the garage, fireplace and ovens. We’ve never had a close call with our oven, but it’s just too much of a risk to chance it. I’m always cooking, so the peace of mind to have a lock on the oven is priceless. Title link to Amazon listing. These are a close second for my favorite all-purpose safety lock. I love that they are invisible and there is an option to turn them off! If I’m in and out of my trash cupboard, I just flip the switch and don’t have to deal with them. Where do I use them? Currently, this lock is in use on chosen kitchen cupboards and the down stairs bathroom. It’s a great option for grandparent’s homes. 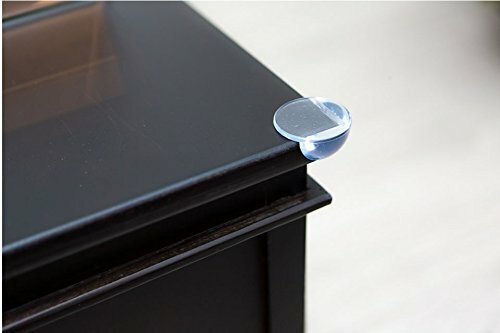 Pros: invisible, ability to open with one-hand, super simple to install, very effective, easy to remove, no damage to cabinets, no tools needed, best of all: ability to turn off! If your bathtub is slippery, these are a must have. I’m not a huge fan of the large bathmats because it’s just one more item to deal with. The stickies make it easy because after installing, you’re done. If your munchkin is a crazy (like mine), you will be overjoyed to know there is a product that can lock your shower easily and discreetly. While this isn’t a life or death situation I need to baby proof, it does, 100%, give me sanity! Getting ready in the morning, I can lock it and not have to worry about her getting into all the shampoos making a slippery mess. Tips: de-grease thoroughly before installing. I hope your babies have the safest, healthiest and happiest childhood. Good luck babyproofing! 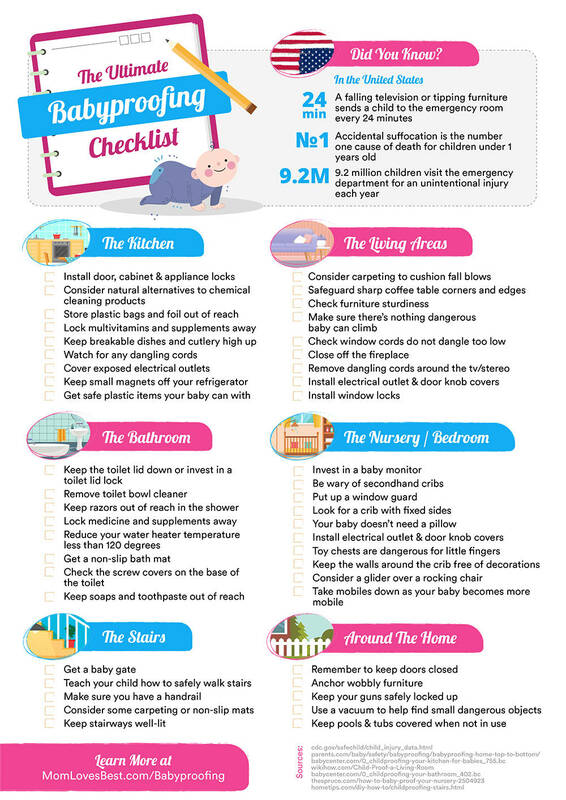 And just in case I’ve forgotten any important areas, Jenny over at Mom Loves Best has created this awesome babyproofing checklist infographic. Disclosure: Any links to outside products are affiliate links and I may be marginally compensated if purchased. Don’t worry though, I’d never promote something I dislike or wouldn’t purchase myself. Also, with my husband, we are the proud owner of JessaLeonaBaby. These are such great tips! 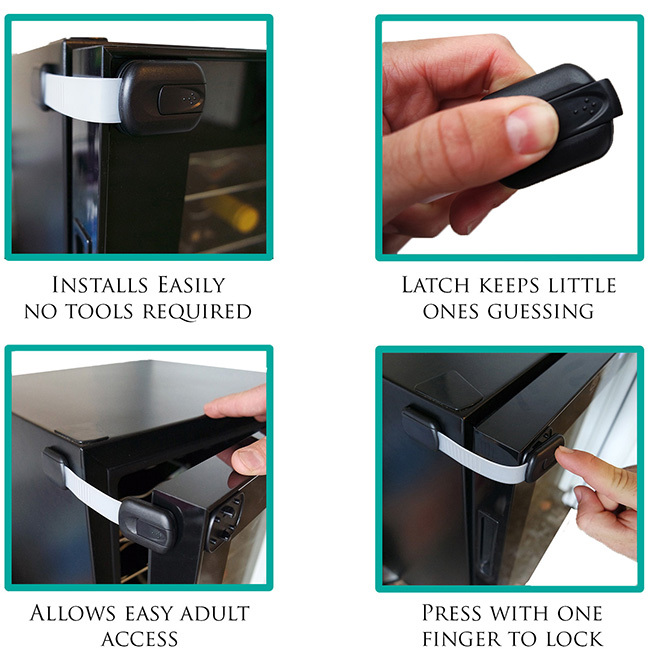 Baby proofing is stressful but so important. 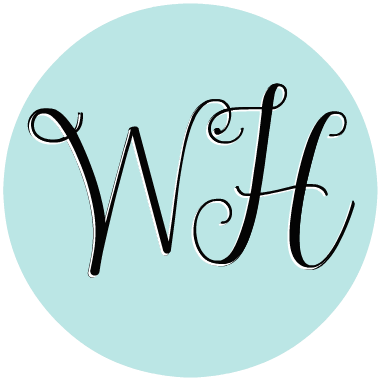 Thanks for sharing this comprehensive and practical list at the Manic Mondays blog hop! Great tips. We just about never open the windows, they stay closed and locked, so that might be something we can skip – but we have most of the others. We got all the kitchen cabinets on latches (and they were a BEAR) to install, but we haven’t done the drawers yet. I’m curious about the ones you shared that don’t require drilling into the cabinet. They are awesome! Easy to install and remove; can’t get much better than that! Thanks for visiting! I loved this article and thought you would too. Here it is Baby Proofing Checklist: What You Really Need located at http://www.inwealthandhealth.com/baby-proofing-checklist-what-you-really-need/.